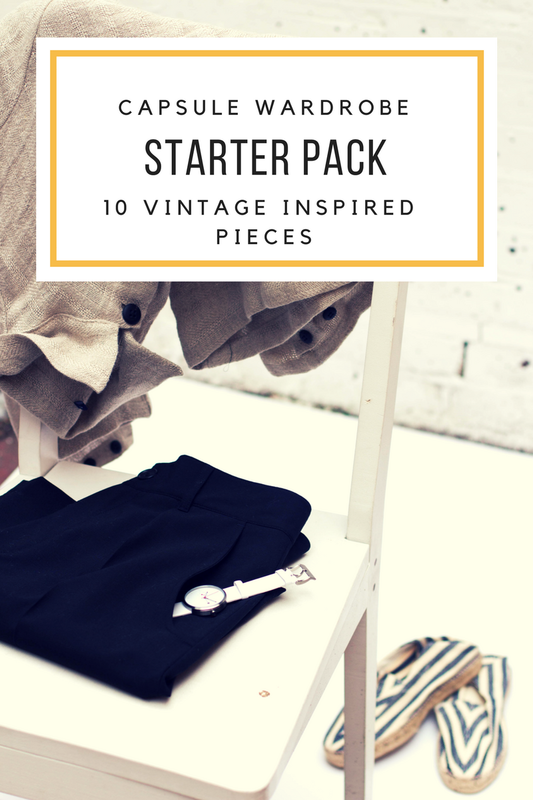 Capsule Wardrobe Starter Pack: 10 Vintage Inspired Pieces | Finding delight. Last week, we discussed how to facilitate creating new capsules every three months by selecting a STARTER PACK. Ten or so pieces that can travel with you on your capsule wardrobe journey as the calendar pages flick by. That way, you can simply round out each season with the appropriate extras. Think: lots of tees and tanks for Summer, pretty sundresses for Spring, and tights and cardigans to bundle up in Winter. I decided it might be fun to showcase a few starter pack examples for three different vibes: CLASSIC, VINTAGE INSPIRED, and WHIMSICAL. And of course I turned to one of my favorite sources for gorgeous, well-fitting pieces — MODCLOTH. Use these 10 Piece Starter packs as a guide to help you build your own. What do you have in your closet? What staple items might you be missing? And then each season, GET CREATIVE. Build out your capsule with your favorite pieces for the season! Mad Men meets #ladyboss in this LBD. All the benefits of a poncho but in a versatile jean jacket fabric. A friendship bracelet inspired watch makes for playful arm candy. These bold earrings add an element of funk. Can’t go wrong with this pencil black skirt. The more beads the better with this chunky statement necklace. A graphic tee that all the bibliophiles can get behind. This blouse rocks a classic vintage color. Ripped jeans give a well-worn look even when brand new. A bold tribal print makes a maxi dress statement. And tune in next week for a WHIMSICAL CAPSULE WARDROBE STARTER PACK! I’m currently wanting a new blazer, especially with fall coming. Wear it with a tee, wear it with a dress…endless possibilities. I LOVE blazers. They make any outfit look instantly chic. Blazers and big cardigans make me miss *actual* seasons so much! Miami just wasn’t made for cute fall fashion, haha! 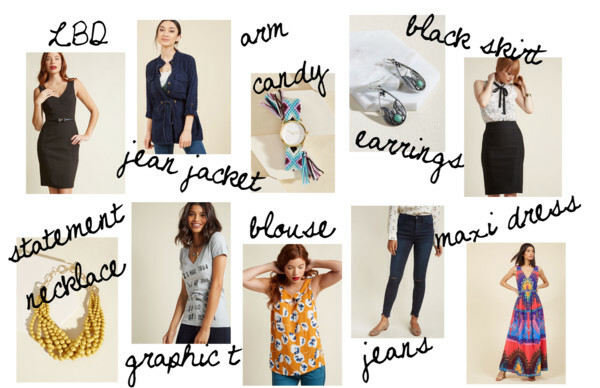 Pingback: Capsule Wardrobe Starter Pack: 10 Whimsical Pieces | Finding delight.